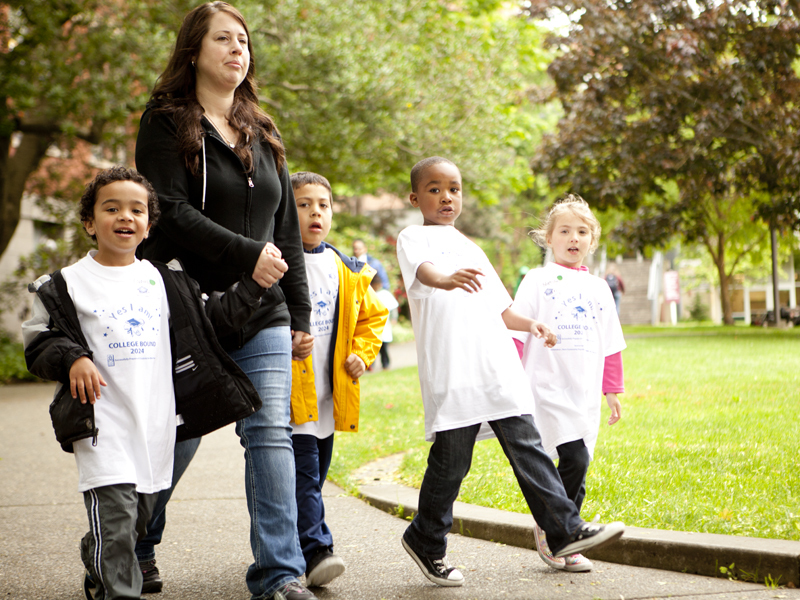 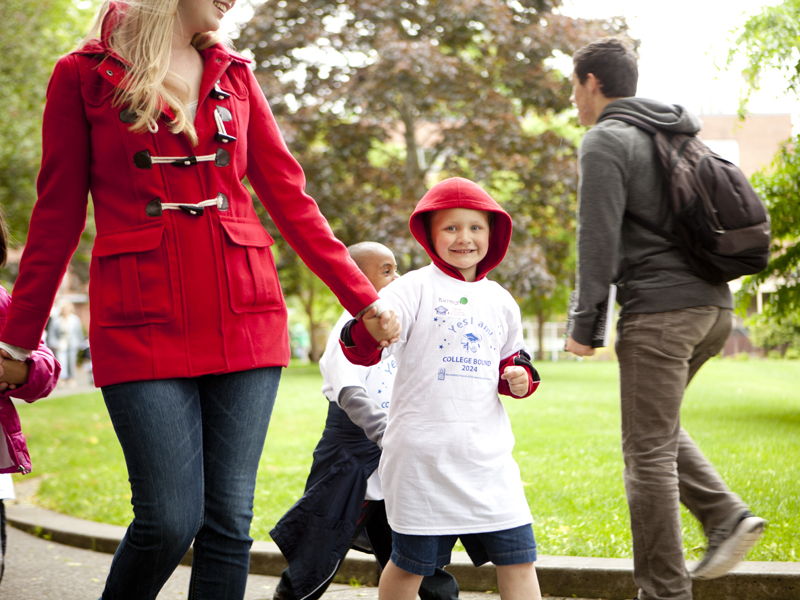 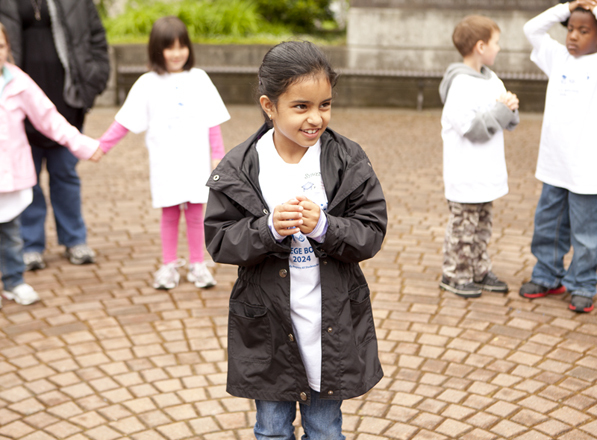 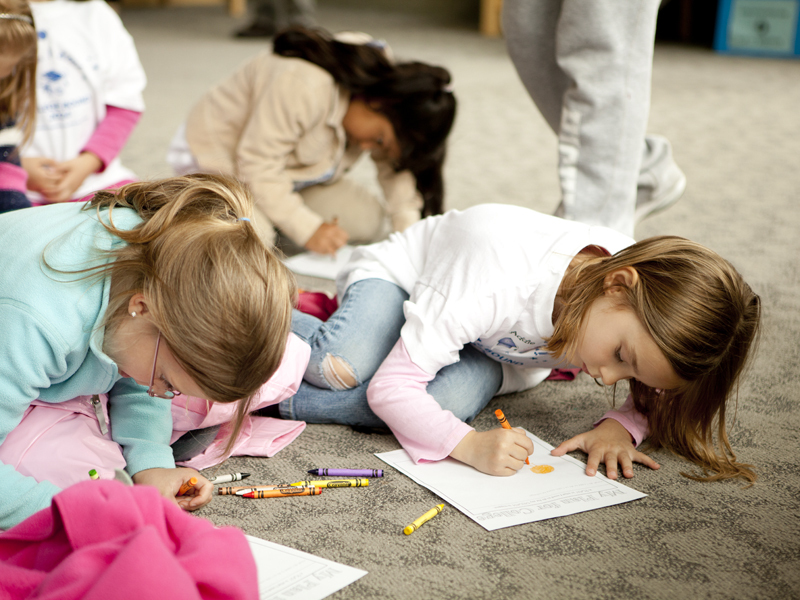 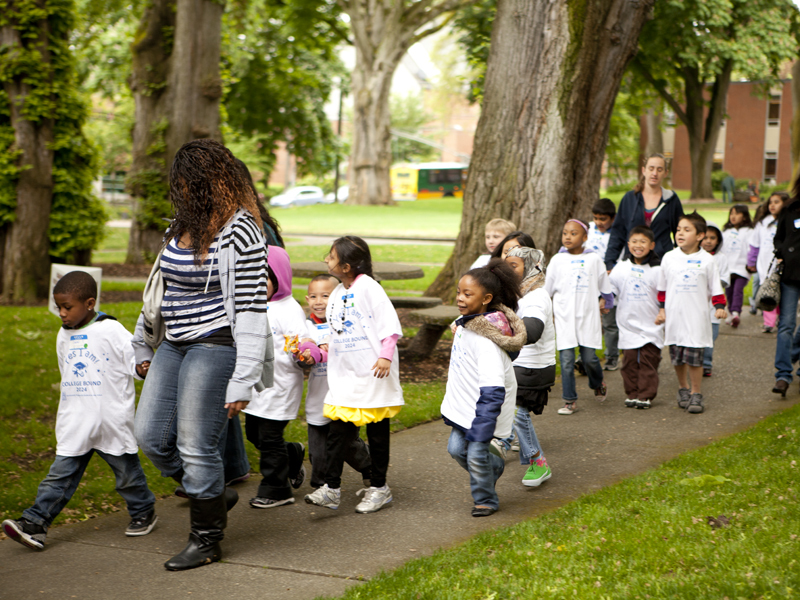 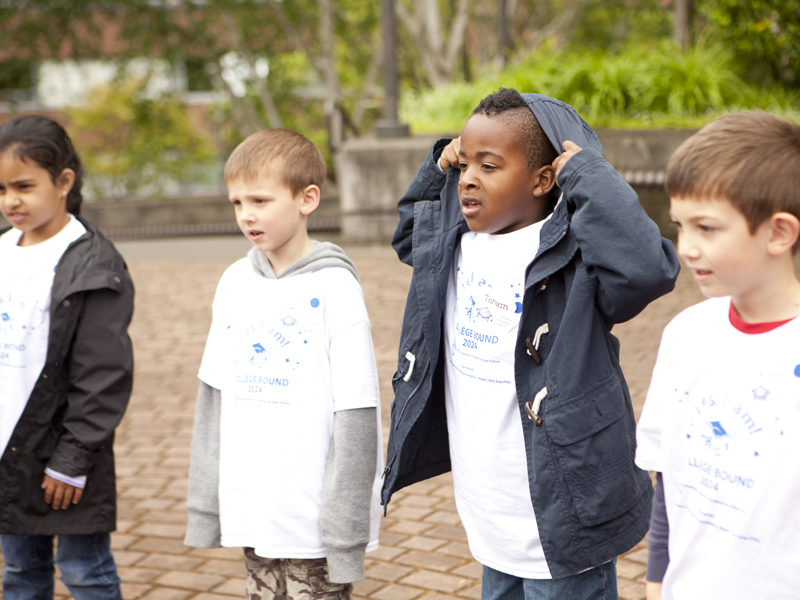 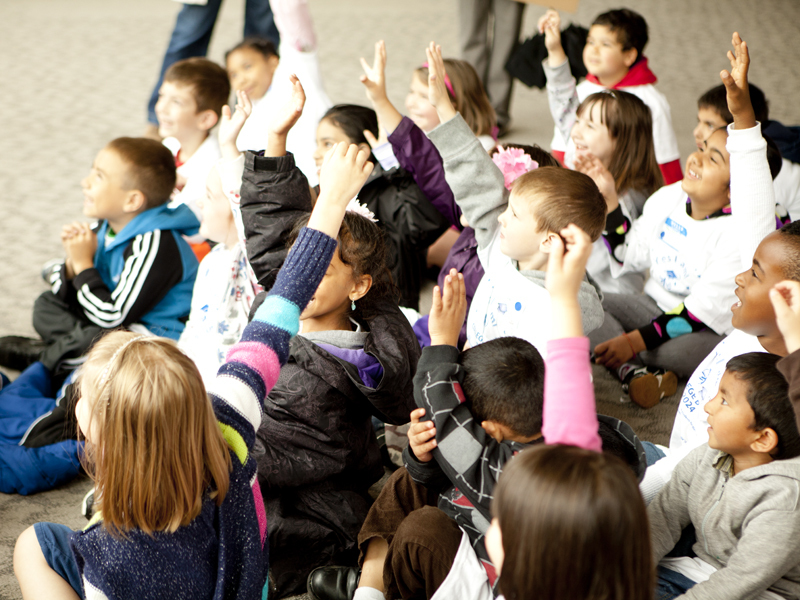 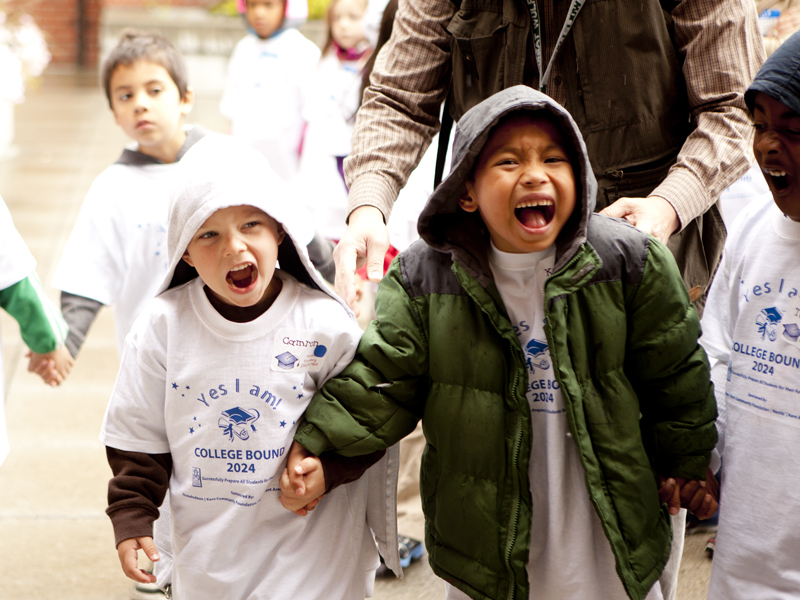 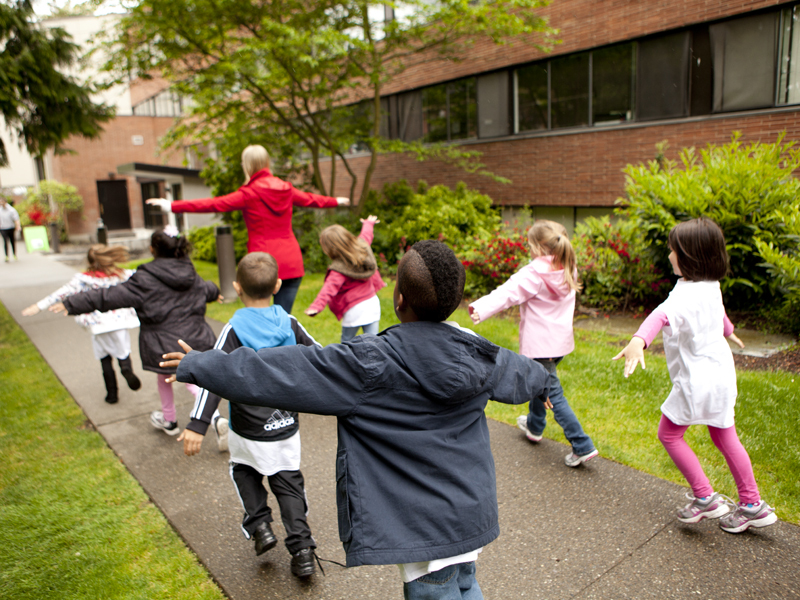 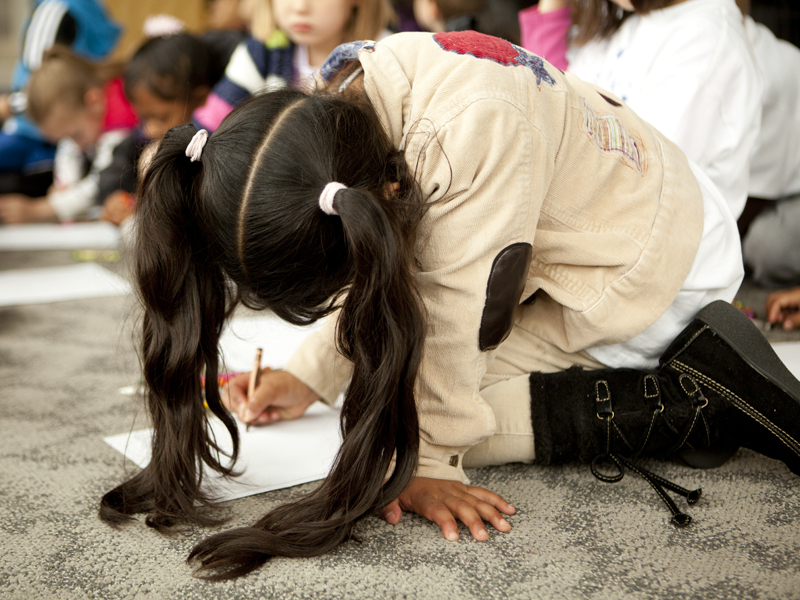 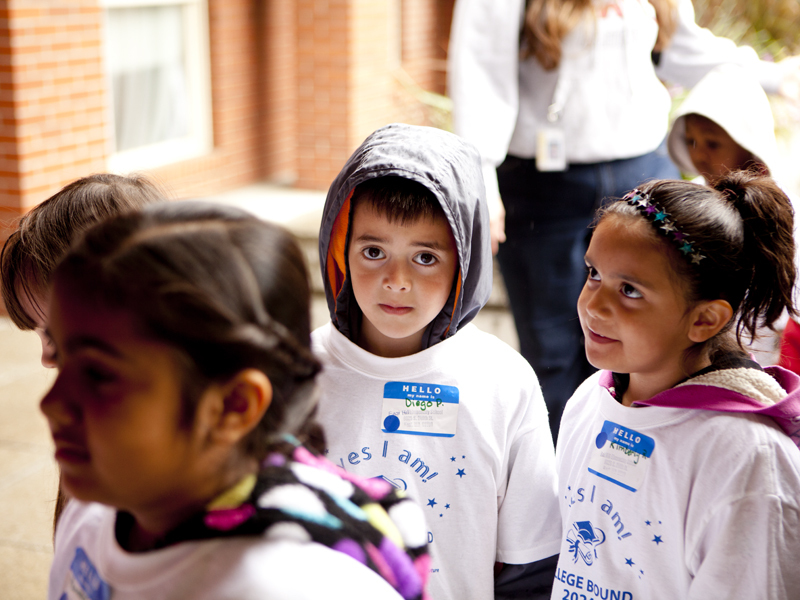 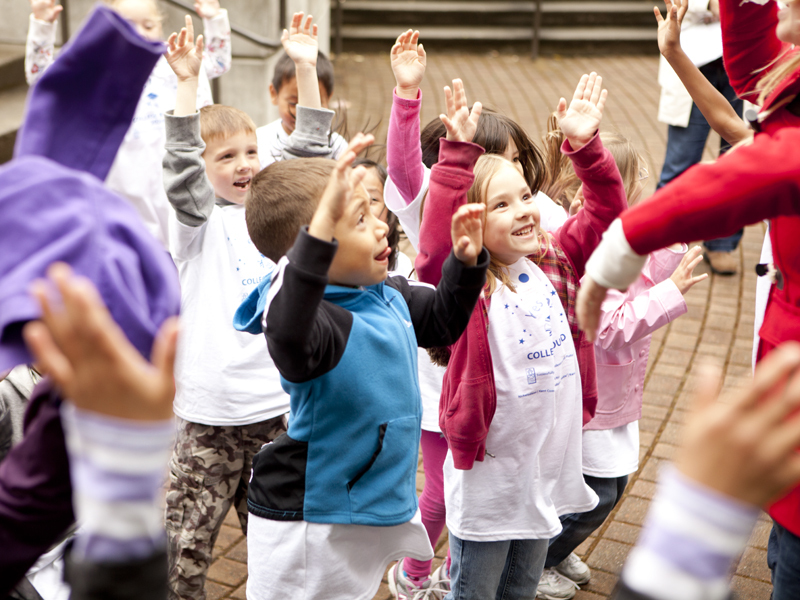 More than 150 kindergartners took a field trip to Seattle Pacific University on Tuesday, May 22, to “go to college for a day.” The kindergartners, from the Kent School District, experienced a science demonstration, a literary exercise, and a campus tour. 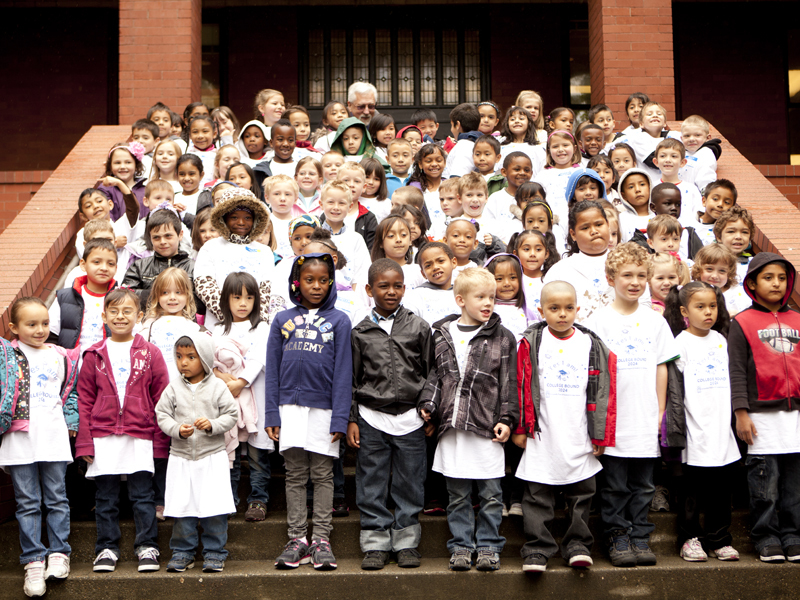 Before returning to Kent, they gathered for a group picture and recited a “college pledge.” This was the second annual “Kinder to College Day” sponsored by SPU’s School of Education. 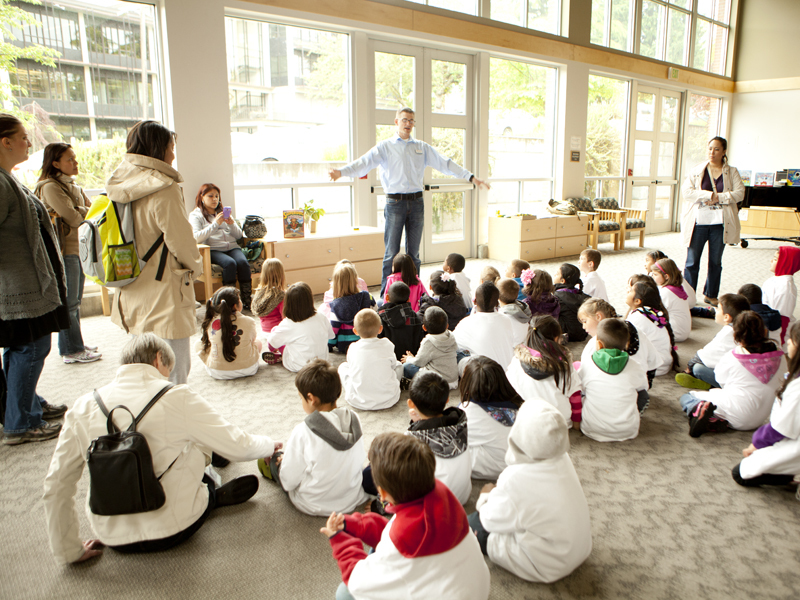 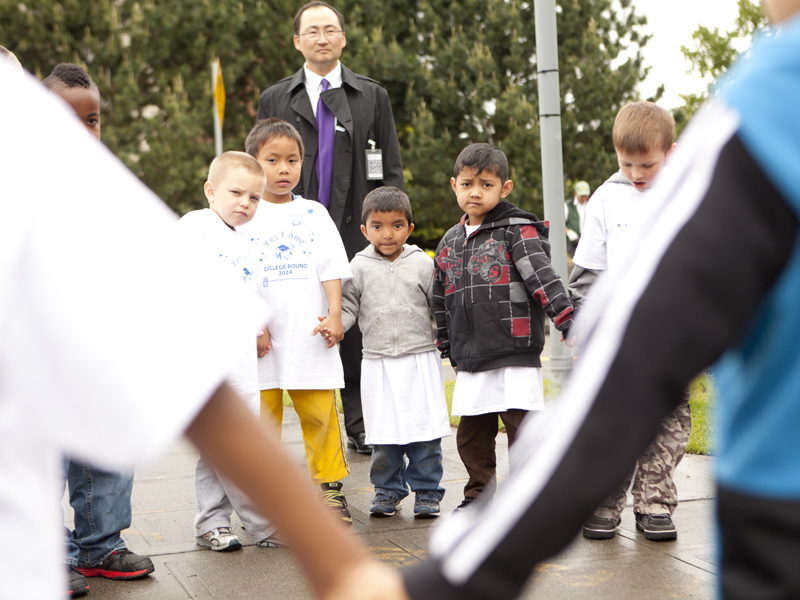 View the photos below, and listen to KIRO FM's Rachel Belle's radio report about the kids' visit. 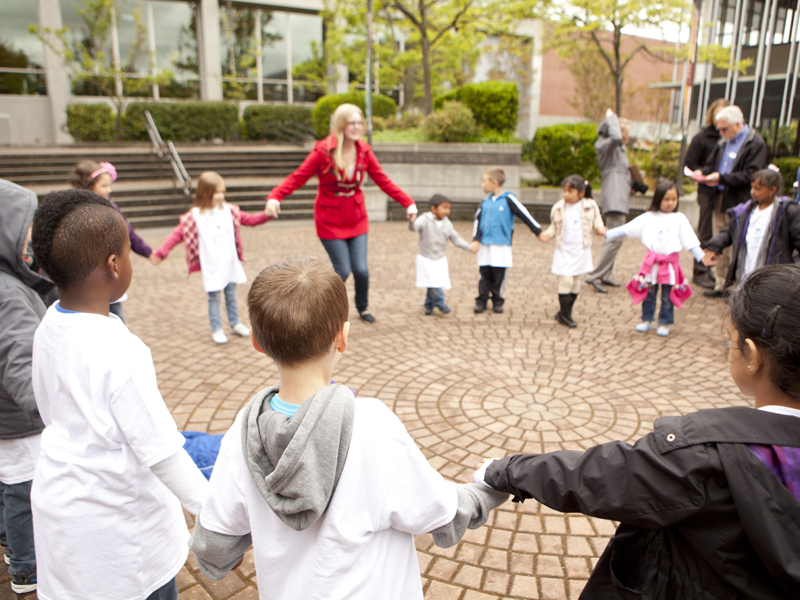 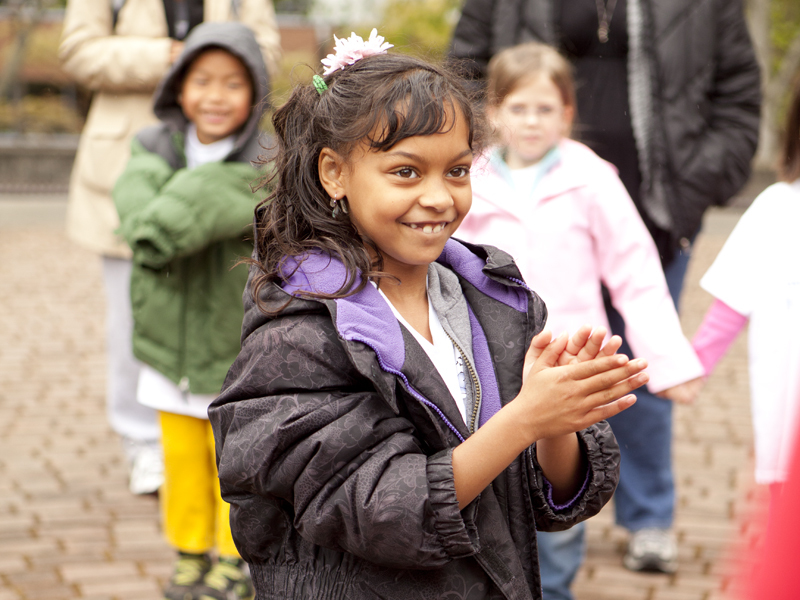 The kindergarteners took turns clapping in the center of Martin Square to hear the square's unique echo.